Hi, loves! 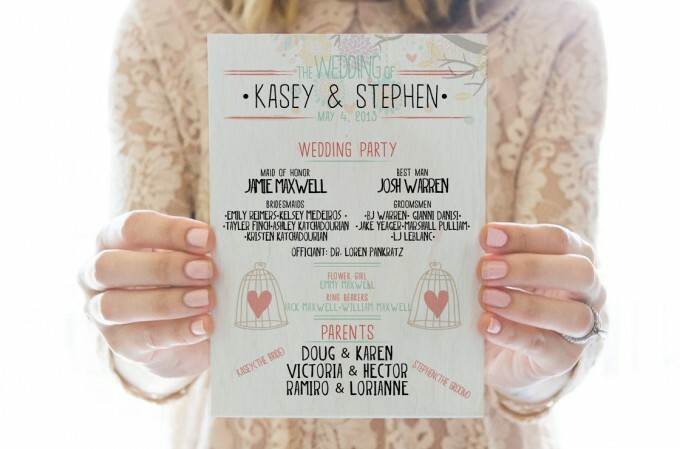 Is your wedding right around the corner and you forgot about wedding programs? No big deal! Many couples forget about ceremony programs or wait until the last minute. 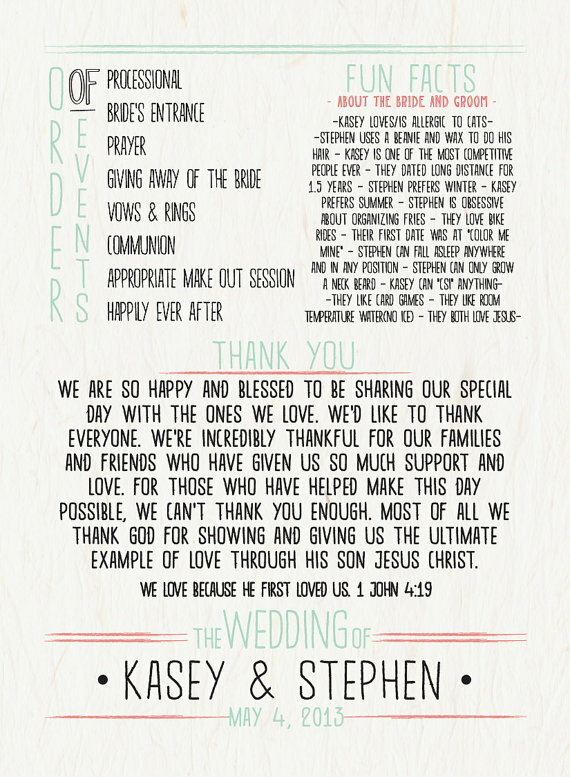 Now it’s no problem since there are many printable ceremony programs available for you to buy, edit, and print… and they look great! 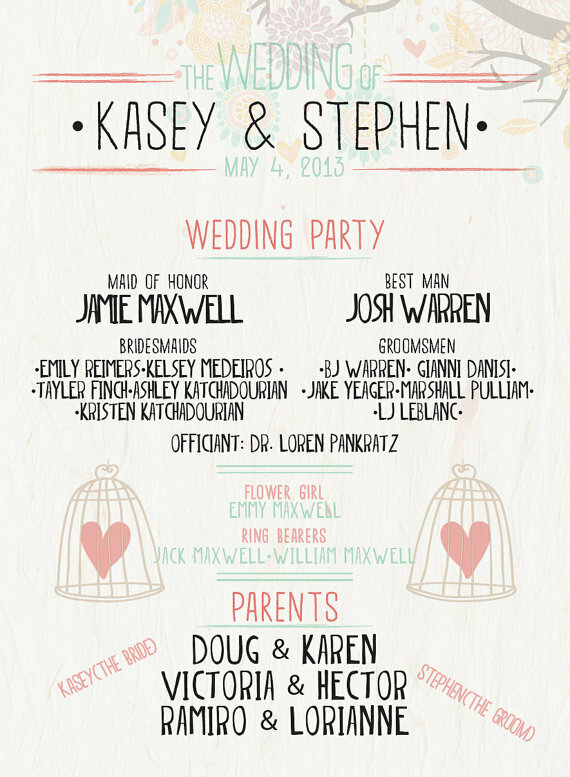 Just like these fun printable wedding programs we spotted at Red Letter Vows. Take a look! Don’t want to print them yourself? If you’ve been planning ahead and have extra time, order the printed version for just a bit extra! Where to Get Yours Visit Red Letter Vows! You can find incredible handmade wedding finds in The Marketplace. Feel free to browse our handmade-a-day archives, too! And for the best wedding ideas at your fingertips, get the book!